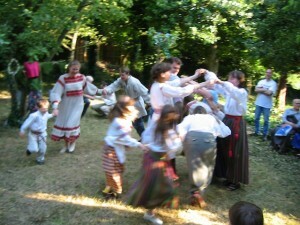 The Anglo-Belarusian Society is inviting members and friends to the traditional Kupalle (Midsummer) celebration on Saturday 23 June 2012 at 3pm – 10pm in the garden of 39 Holden Road, London N12 8HS. Offerings of wine, beer and soft drinks will also be gratefully received, but – please – NO SPIRITS. There will be a collection to cover the expenses. This entry was posted in ABS and tagged belarusians, kupalle, london. Bookmark the permalink.